Explanation: In silhouette against the colorful evening twilight glow, clouds part in this much anticipated magic moment. The scene captures naked-eye Comet PanSTARRS peeking into northern hemisphere skies on March 12. The comet stands over the western horizon after sunset, joined by the thin, flattened crescent of a day old Moon. 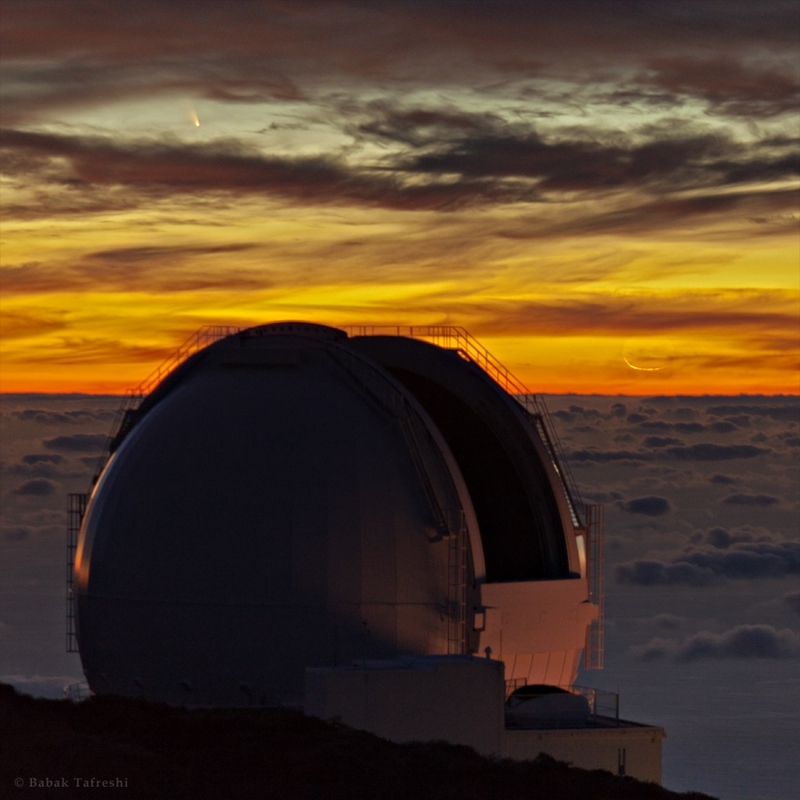 Posing for its own beauty shot, the subtly lit dome of the 4.2 meter William Herschel Telescope is perched above cloud banks on the Canary Island of La Palma. While PanSTARRS has not quite developed into the spectacular comet once hoped for, it is still growing easier to see in the north. In coming days it will steadily climb north, farther from the Sun into darker western evening skies.